Dark Chocolate Is Gross: Can We Stop Pretending to Like It? I was sitting in my short-lived college girlfriend's kitchen when she offered me a piece of tree bark, wrapped in foil. Being the upstanding, polite individual I was raised to be, I accepted and smiled. But by the time I hit my third forced chew, I'd had enough. As I drove home alone, all I could think about was that stupid bar. Dark chocolate is supposed to be the honeydew melon of the sweets world. Mere filler for heart-shaped drugstore chocolate boxes, a half-melted stain on the bottom of your mom’s minivan! But it's spiked in popularity in recent years, and I hate it. Dark chocolate is gross, and everyone needs to stop pretending to like it so much. You people are living a lie, dammit. Let me tell you why. 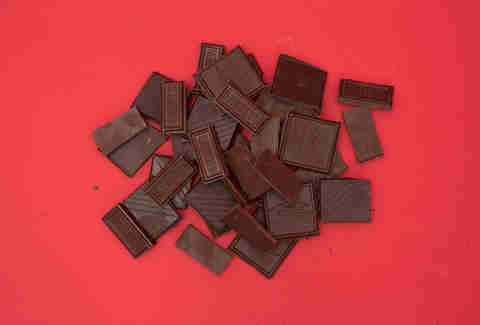 The number-one reason I don’t like dark chocolate is because it tastes straight-up not good. And you don’t like the taste of it, either. You really don’t. You are only lying to yourself. I always keep an open mind. I’ve eaten squid ink and alligator soup and cow tongue and a Doritos Locos Taco (three times! ), but when something tastes like a petrified Converse sole, I’m going to call it like I see it. I appreciate the bitter side of the palate (I drink approximately 80 cups of coffee a day, black), but this chalky-textured, ashy-coated, hard-as-a-rock, bittersweet cacophony of crap and cocoa that passes for “candy” is not a taste one can acquire. 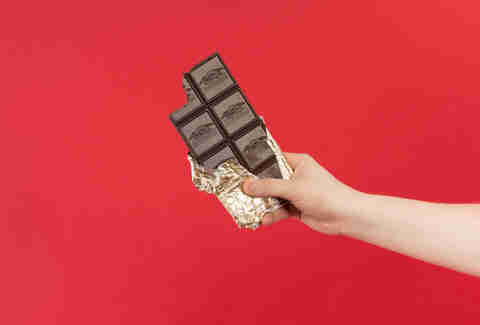 The average bar of dark chocolate costs anywhere between $400-$800,000, depending on what country you are in. For comparison, they sell these little square chocolates on the counter at my deli for $.50 a pop -- and they even come with corn crisps, sometimes. I know this brand sells dark chocolate, too, but this is my story, OK?? Plus, you can never trust the cocoa mafia. Look at the back of your chocolate bar. At the nutrition facts. Yeah, they're not great. If you are going to commit to eating candy, just commit to eating candy, dude. 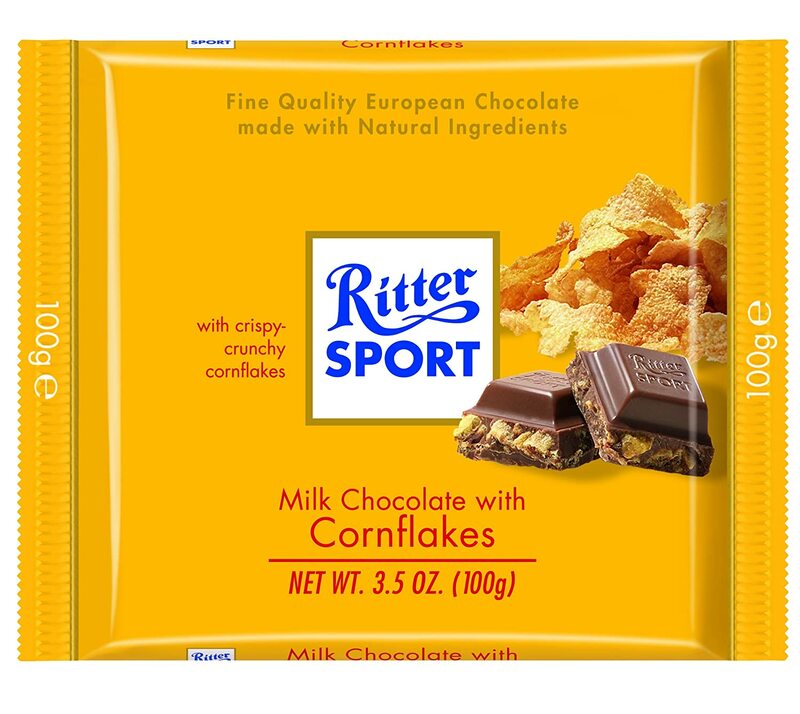 Get some milk chocolate from Europe -- Germany is the land of chocolate, right? Or some Ben & Jerry's. Or a Funfetti cake. Or I don’t know... a banana? Maybe don’t eat anything at all, you just had lunch. I know this is a confusing time to be a kid. Or, um, an adult. 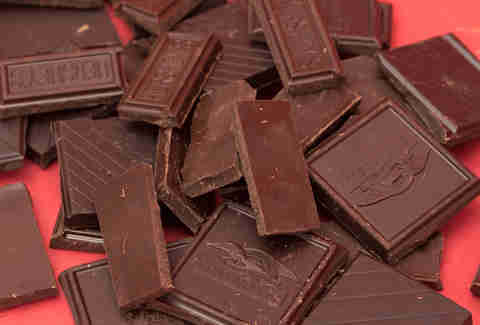 But I assure you, you don’t have to eat dark chocolate to be cool, even though everyone else is doing it. 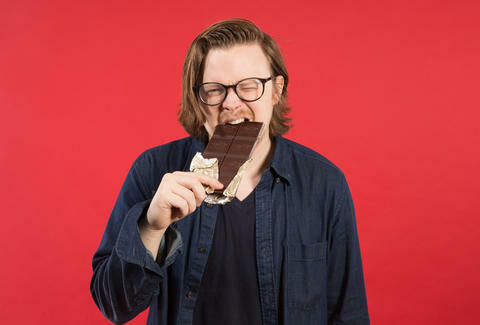 I know there are all these tremendously trendy artisanal pop-ups doling out locally sourced dark chocolate bars with ironic names based on '90s Nickelodeon references and obscure late-'70s proto-punk bands. And I know you heard that everyone at Jenny Talerico’s party was totally stealing from her parents' dark chocolate stash the whole night, because they are out of town and cool with it anyway because her dad used to be in a band. And didn’t you see Johnny Depp eating a bar of dark chocolate with sea salt and caramel in Soho last week? Hm, maybe that was just a Hot Pocket. And also, maybe that was just a homeless guy. But regardless, if you don’t want to eat dark chocolate, you don’t have to. You know what's cool? Not giving into peer pressure. So the next time someone offers you dark chocolate... accept it. But then mush it up in your fingers and wipe it on their back, their hair, and/or their pets or car interior when they aren’t looking.